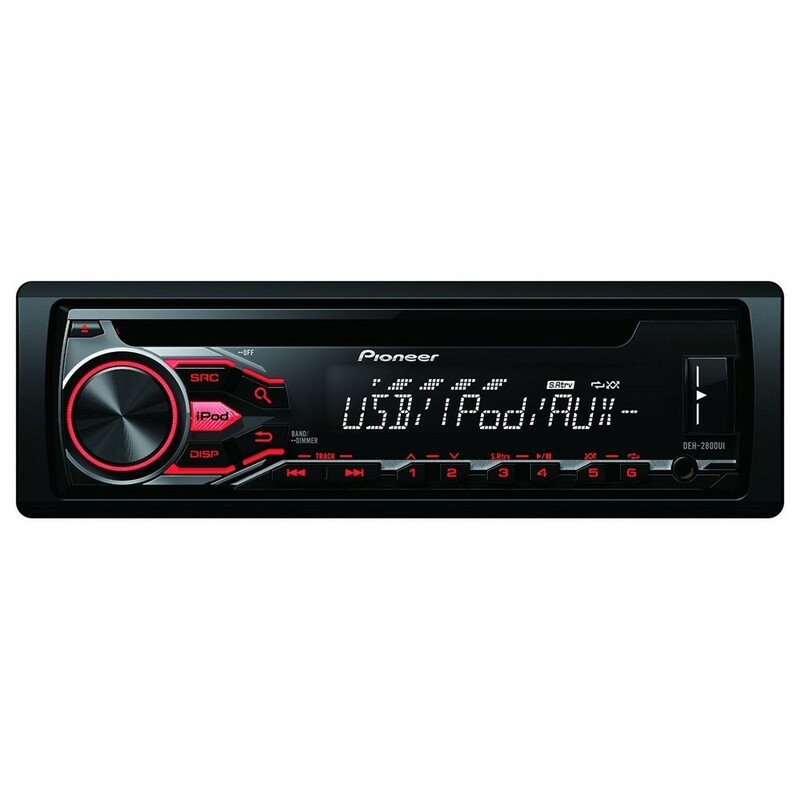 Pioneer DEH-2800Ui CD car stero with iPod Direct control, AUX in & USB. Enjoy your portable music in your car. I have an 07 Ford Fiesta Zetec S. I purchased a Pioneer DEH-1900UB which is not fit for purpose. Does this headunit actually work with iPod/iPhone? Can I use facia/loom I have for DEH-1900UB with it? use the illuminated USB and Aux-in to play back music from a portable device, like an iPhone, Android smartphone or USB stick. When you connect a compatible Android smartphone via USB, you can scroll through your phone�s SD card content and play your favourite music thanks to Android Media Access. With iPod and iPhone Direct Control. as shown in the description on our website, this unti works with the Iphone & yes you can use the same parts. Will this fit my 2007 Ford Fiesta Zetec S? Do I need to worry about RCA pre-outs if stock speakers just swap headunits? Thanks for your reply. My car is a Zafira Life 2005. Will this make a difference to adapters needed. Thank You again. Hi. I have a Zafira, 05'plate that has a stereo but cd doesn't work. I'm looking to replace but one where the steering wheel controls will work. Could you please advise. Thank you for your time. thanks for your question, thsi unit can be fitted with a fitting kit like the ones shown, it includes the steering wheel control retention. Hi, I was just wondering, with this CD player can you change bass level and treble level?